To know everything about your ancestors, one major area is about the type of foods they may have enjoyed. Many of such meals are still enjoyed today having been handled down through the generations. However, there are a few, less consumed now-a-days. 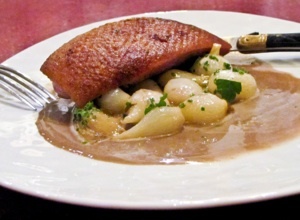 To start, ‘Pressed Duck‘ was a favorite in the 1800s. The butchered duck would be semi-roasted in the oven. Then they used a duck press to actually press the duck, forcing the natural juices out. The roasting of the duck then continued and the liquid was made into a sauce and poured over the meat when ready to serve. Every part of an animal was used. In preparing a calf, the actual calf head was boiled. The ears were prepared special, fried in batter to be a fritter. Then there were dipping sauces to place the calf ear in before eating. 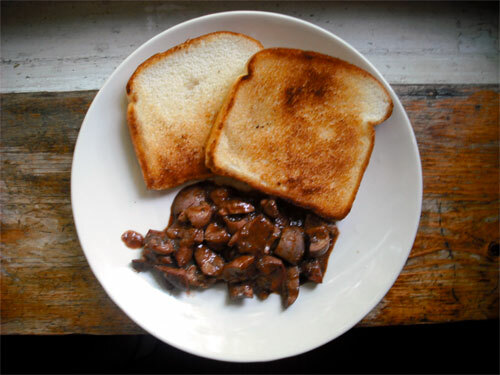 A popular breakfast item was ‘Boiled Kidneys‘. They used lamb kidneys, boiled them, split each, salted – peppered and didn’t need an sauce with it. Sauces were very popular and especially ‘Bread Sauce‘. They took crumbs of bread, boiled with onion and peppercorns. Then removed the onion and peppercorns to mash up the cooked bread crumbs. They seasoned it with cream, butter and salt. Some of the popular dish, especially with meats were for families who could afford the meat or have the calves or sheep. If a family were poorer, did not have livestock or afford to pay for meat, would settle for Broxy. This was cheaper, sold in lower-class butcher shops and more affordable than mutton (sheep). What was it … diseased sheep meat. Yes, the family ran the risk of getting sick, catching a disease from the diseased meat, but when they were hungry, they did eat broxy. 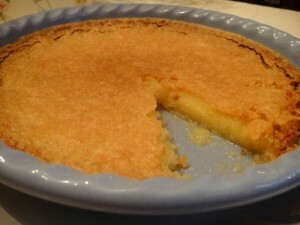 The Deep South of America a treat was vinegar-flavored pie. People think that thrifty cooks first started to use apple cider vinegar as a flavoring because it was cheaper than fruit or lemon juice. Vinegar pie is nicknamed “the poor man’s lemon pie.” Another type was ‘cheese pie‘ which was made with cornmeal. 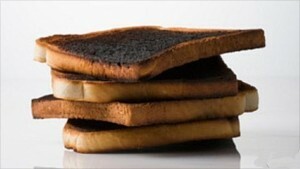 Another inexpensive meal was ‘toast sandwich‘. Two slices of bread were toasted, then buttered with salt and pepper added. That was the meal. Photos: Pressed Duck, Boiled Kidneys, Vinegar Pie and Toast Sandwich.